Sales remain deeply depressed with 11.6 months of inventory available for purchase and an estimated 1.1 million excess units actively in the market after an uptick in August sales of 7.6 percent. The median price fell 1.9% in August and units of inventory fell slightly to 3.98 million. The NAR reported 414,000 sales closed, but 28% of those sales were all cash closings. That’s three times the norm, and an obvious sign of distress. One of three sales are officially “distressed” sales. 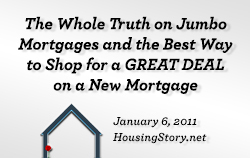 Foreclosures, the highest stress transactions, sell for a discount of approximately 25%. The rate of sales is the second worst on record according to Bloomberg and Marketwatch (but only going back to 1996 according to BNP Paribas). 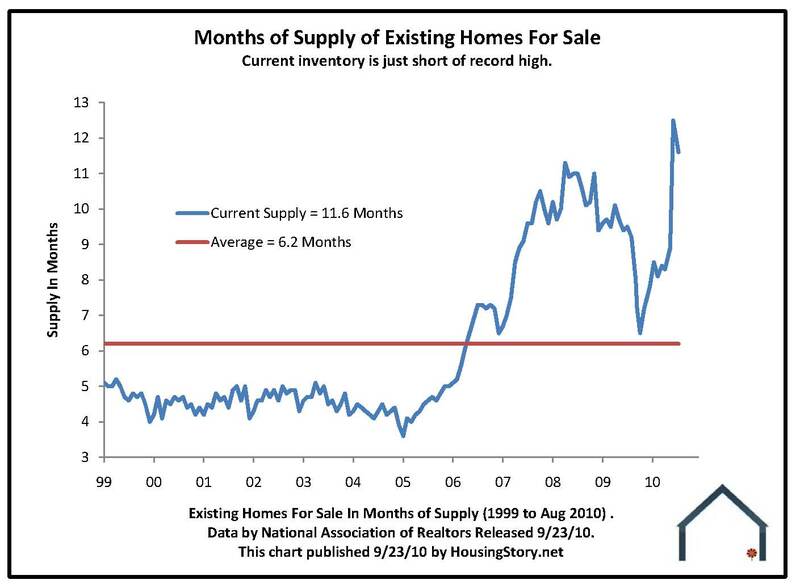 Months-of-supply is also the second worst on records going back to at least 1999 and probably as far back as 1983 (Please see the chart above of months of inventory). 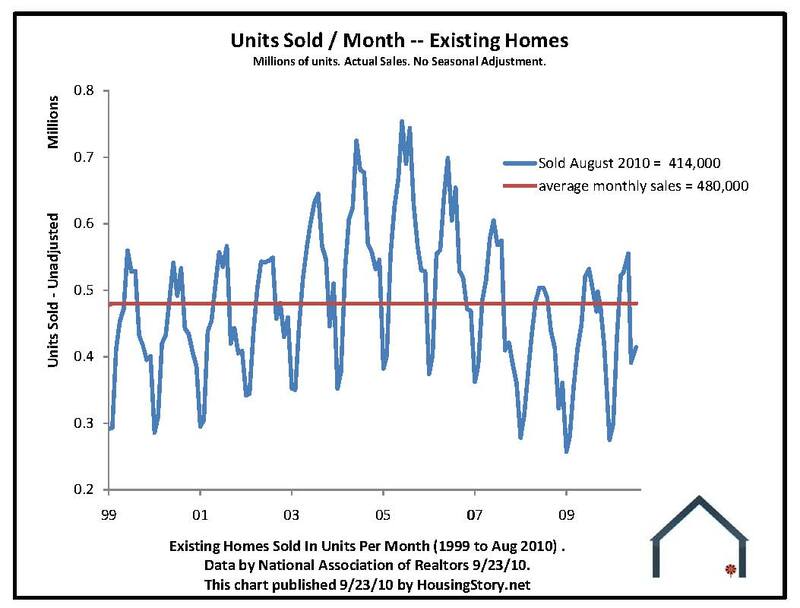 Last month’s readings registered extreme lows for both months-of-inventory and the sales rate. Today’s stats are the second release of existing-home-sales data that gives us a view of buyer demand with much less of the free-down-payment prop. Please note that inventory in units fell 25,000 (Please see inventory of units for sale above. 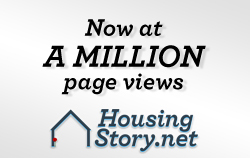 ), but we estimate the excess of units on the market as 1.1 million of the 4 million for sale. 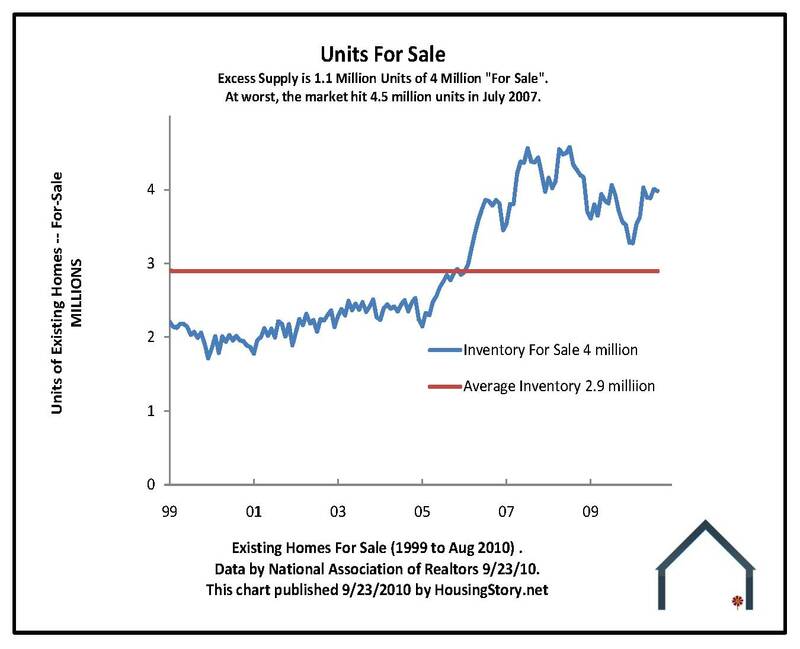 The crash high inventory was 4.5 million in July 2007. 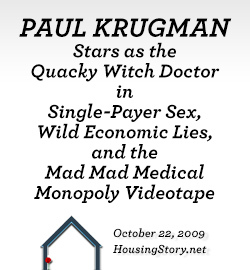 Buyers of residential real estate act inside of the context of a deluge of negative risk factors. 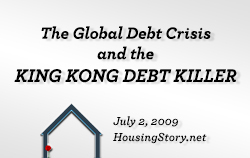 One in seven borrowers is delinquent. 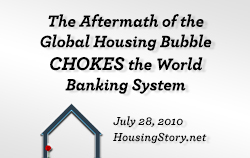 Nearly five percent are in foreclosure. The cure rate on delinquent mortgages is effectively zero once the loan goes to 60-days late. Approximately 13 million homeowners have no equity or negative equity. 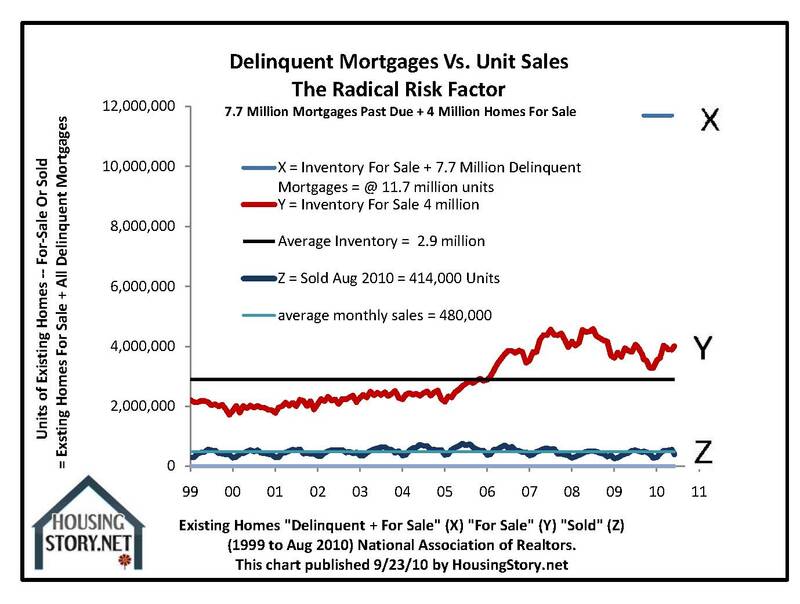 Almost five million homeowners have negative equity greater than 125% loan-to-value (Please see the chart above comparing monthly unit sales, total inventory, and the number of delinquent mortgages.). Strategic default is a viable option in the mix coming out of the worst recession since the Great Depression. 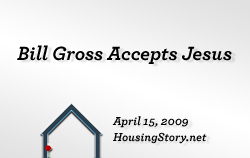 About 2.5 million homes have been lost to foreclosure since the recession started in December 2007 according to RealtyTrac. 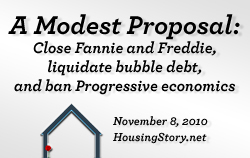 Another 3.3 million homes could be lost to foreclosure or distressed sales over the next four years according to Moody’s Analytics (in a report from MSN.com). 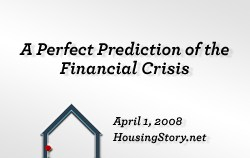 Current real estate bulls point to values which have fallen 29% from their peak, interest rates which are at record lows, and a federal government which has devoted all weapons large and small to support prices including unlimited capital for government mortgage lenders. Yet unit sales remain generally weak in the last four years when compared to bubble sales (Please check the historical chart of unit sales immediately above.) and we are just a hop skip and a jump away from starting a new crash if it hasn’t already begun. 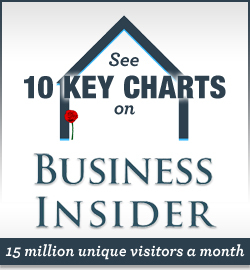 Thank you for carrying the story to Brittania Radio, Business Insider, Jesse’s Cafe Americain, Mortgage Lender Implode, Mortgage News Clips. May I say what a rare pleasure it is to hear the truth out of the mouth of an industry insider. Kudos to you for your integrity. I hope like hell I’ll never have another mortgage, but if I do — I’m calling you. Zounds great to me. If this keeps up for long, I’ll be able to buy a home for less than two million dollars, if I can just come up with a million dollar down payment. Time is on my side.